Auto shows are a great place for new car buyers to kick some tires, particularly if they are interested in the latest and greatest automakers have to offer. That means you shouldn’t be surprised that one of the most significant debuts at this year’s Canadian International Auto Show is a minivan, the new 2017 Chrysler Pacifica. As the sixth and latest in a series of Canadian-made Chrysler minivans that date back over 30 years, the new 2017 Pacifica not only sports an old/new name, it marks a change in direction from Fiat Chrysler’s previous minivan strategy. The current generation of Dodge Grand Caravan and Chrysler Town & Country minivans have been on sale since 2008. Fiat Chrysler says the Dodge version will continue to be built and sold as long as there is market demand, while the Town & Country is being replaced with the new Pacifica. 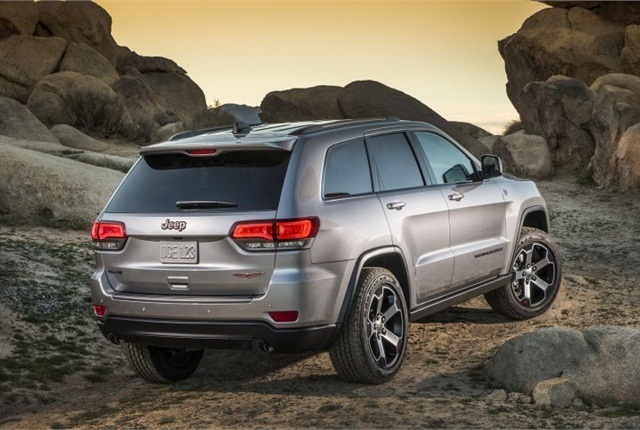 Fiat Chrysler’s change in direction raises some questions. Does the move to a single minivan model mean the Italian automaker has given up on the segment it invented and owns? Or is the investment in the more upscale (and presumably more profitable) Pacifica the right product for the few-yet-loyal remaining minivan buyers? Regardless of the answers, the new 2017 Chrysler Pacifica is a seminal model for Fiat Chrysler. Arguably, Chrysler created the modern minivan with the introduction of the Dodge Caravan and Plymouth Voyager in 1983, and has led the segment in sales ever since. Truly unique in the marketplace at the time, the original Dodge/Plymouth minivan twins (and the later, more luxurious 1990 Chrysler Town & Country) were vehicles that could seat seven people or move the contents of a bachelor apartment with the seats folded. And because they were based on the front-wheel-drive Chrysler K-car compact platform, the Caravan/Voyager were easier to drive and offered better fuel economy than traditional station wagons or larger vans. Immediately, the Chrysler “Magic-wagons” struck a cord with buyers. First-year combined Dodge/Plymouth minivan U.S. sales were around the 100,000 mark, but by the mid-1990s, sales were well over five times that, driving a burgeoning segment that saw copy-cat designs from all the major automakers, such as the Honda Odyssey, Ford Windstar, Mercury Villager, General Motors’ Chevrolet Lumina APV, Pontiac Tran Sport and Oldsmobile Silhouette triplets, Nissan Quest and Toyota Sienna. Yet just as minivans were becoming the go-to-choice for Canadian families, SUVs like the mid-1990s Ford Explorer and Jeep Cherokee with their extra ground clearance, rugged looks and availability of all-wheel drive began to appear. Almost immediately, buyers started to trade in their minivans for these new types of utility vehicles. That trend continues today, to the point where minivans have almost become a niche segment. In 2015, total North American sales of the five remaining minivans from Chrysler/Dodge, Honda, Toyota and the recently resurrected Kia Sedona were a little over 570,000 units — or what Chrysler was selling alone 20 years ago. In Canada last year, total minivan sales were a little over 83,000 units — well under the over-100,000 sales of the 25-plus three-row midsize crossover and SUV models available to buyers. And even with the addition of the new Pacifica (a name previously used on the minivan-based 2004 to 2008 Chrysler Pacifica crossover), the segment is expected to contract further when the Grand Caravan (which made up more than half of Canadian minivan sales last year, with over 46,000 units sold) eventually leaves the segment. Like its Asian-brand rivals, Fiat Chrysler’s minivan strategy appears to be focused less on big volumes and more on higher-content vehicles. While many of today’s Dodge Grand Caravans are sold based on aggressive, under-$20,000 advertised base prices, the better-equipped Pacifica is being pitched directly at the segment-leading Odyssey and Sienna, which offer more standard equipment for about $10,000 more. Also like the competition, the Pacifica will come with a V6 engine standard, a 287-horsepower version of Chrysler’s 3.6-litre unit. A nine-speed automatic transmission is standard, too. Although it’s been designed to look lower and longer than the boxier Grand Caravan and Town & Country it will replace, the 2017 Pacifica is actually a bit roomier inside. Plus there are plenty of new convenience and luxury features, like Stow ‘n Go Assist (press a button, and the front seats move forward and out of the way so that the second-row seats can be dropped into their storage wells), heated and ventilated front seats, triple-panel panoramic roof, power sliding side doors and a hands-free power rear liftgate. Chrysler is also counting on the Pacifica’s sexier styling and higher levels of technology (led by the new 2017 Pacifica Hybrid version, the first North American plug-in gas electric minivan) to attract buyers who would normally shop at a Honda or Toyota dealership. Fiat Chrysler doesn’t expect to sell a half-million minivans a year ever again. But if the more upscale 2017 Chrysler Pacifica is well received when it goes on sale later this summer, it could signal a stay of execution for the minivan as we know it.